Surreal, otherworldly, foreboding...perhaps a once in a lifetime combination of colors, shapes and textures. 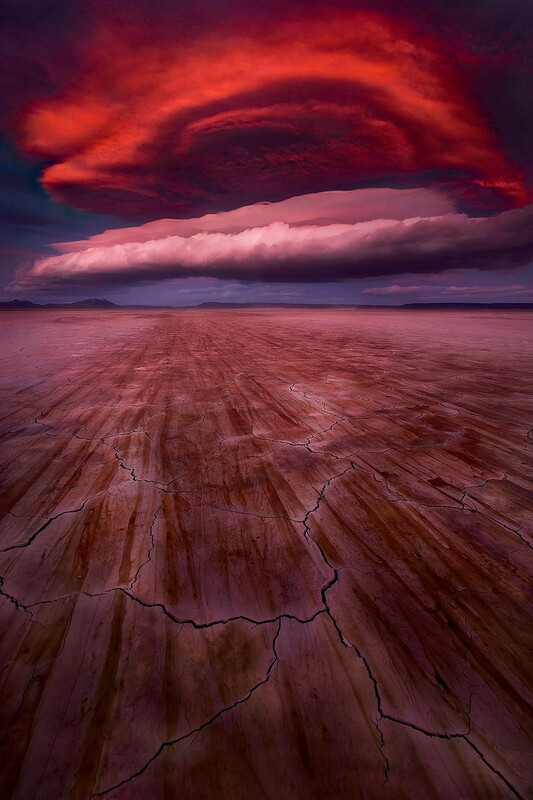 This awesome lenticular cloud formation occured at sunset over Oregon's Alvord desert in late December, ahead of an impending storm. Photo © copyright by Marc Adamus.